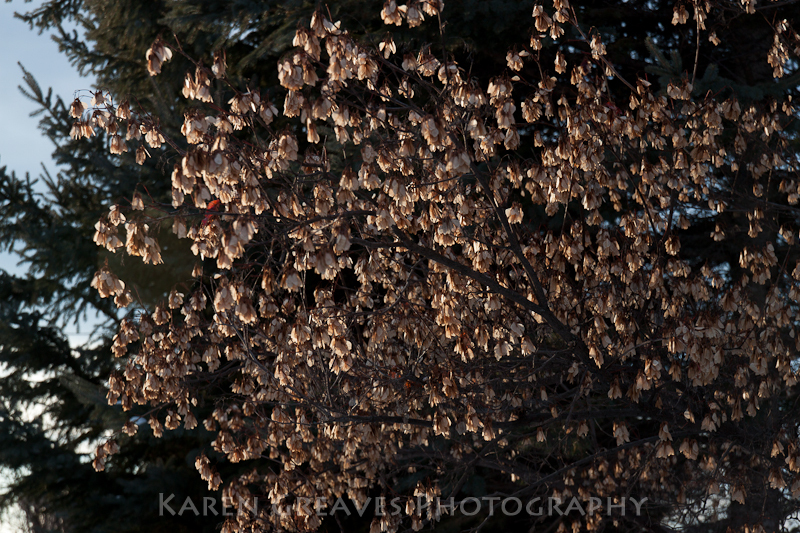 The other day, while on a walk late in the afternoon, a particular tree caught my eye. 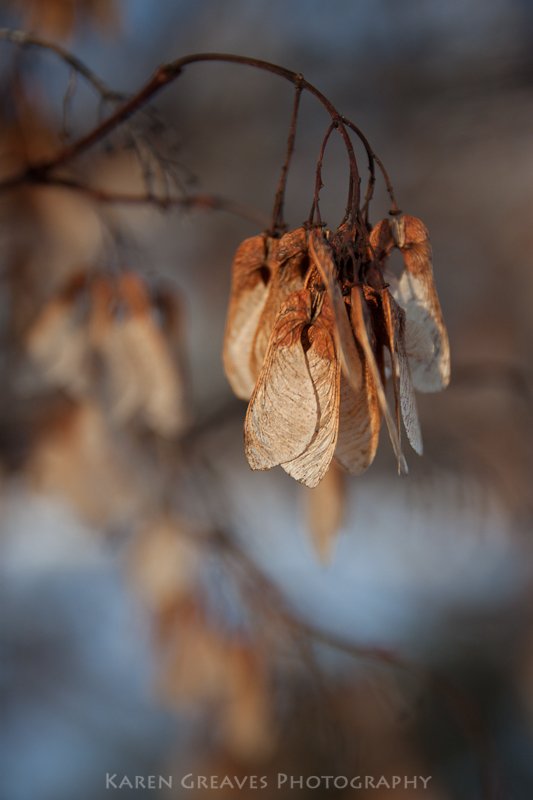 The setting sun shone through the remain maple seeds on a neighbour’s tree. 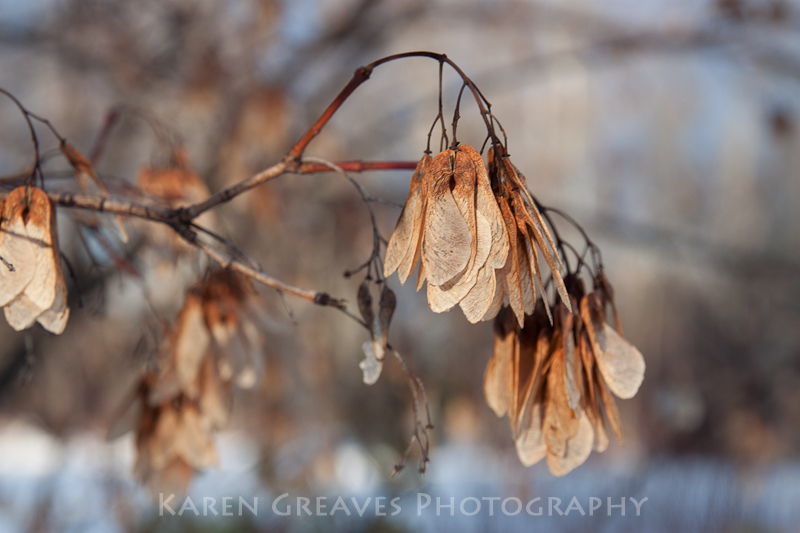 Remarkable how many seeds still clung to this maple! 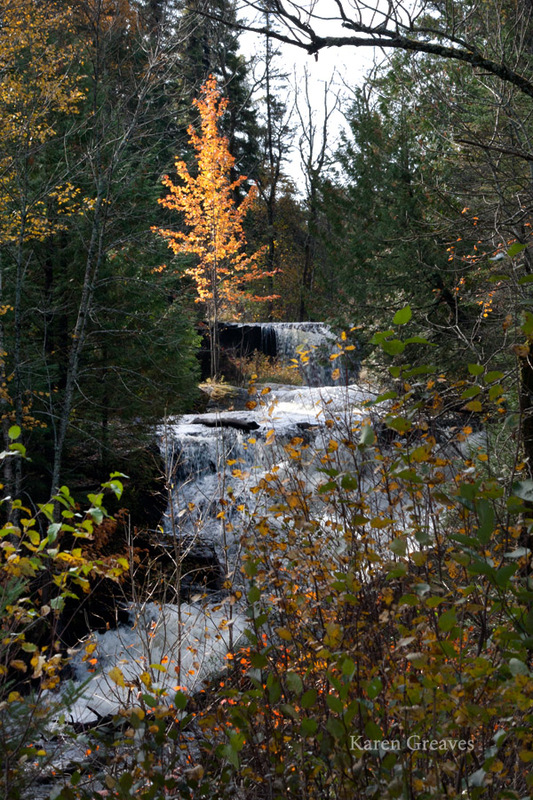 This angle is the opposite of the October desktop image. If you look closely you can see the chair at the end of the dock. 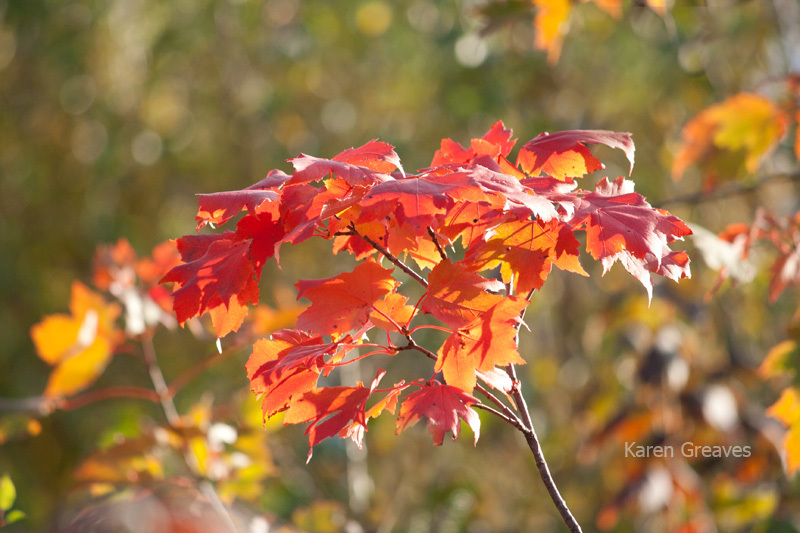 Although Maples are somewhat rare in our neighbourhood, the odd splattering of them delights! Wish this was in my backyard! 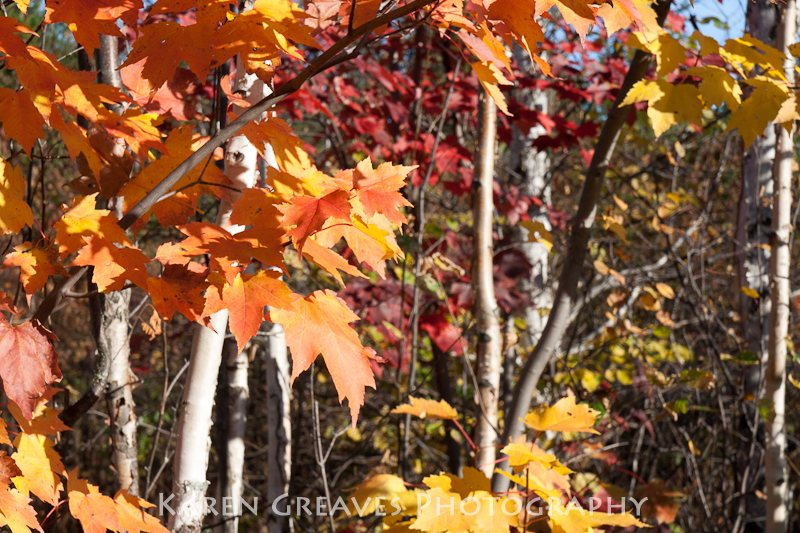 We found these beautiful maples along Lake Superior’s north shore at one of our many stops enroute from Sault Ste Marie. 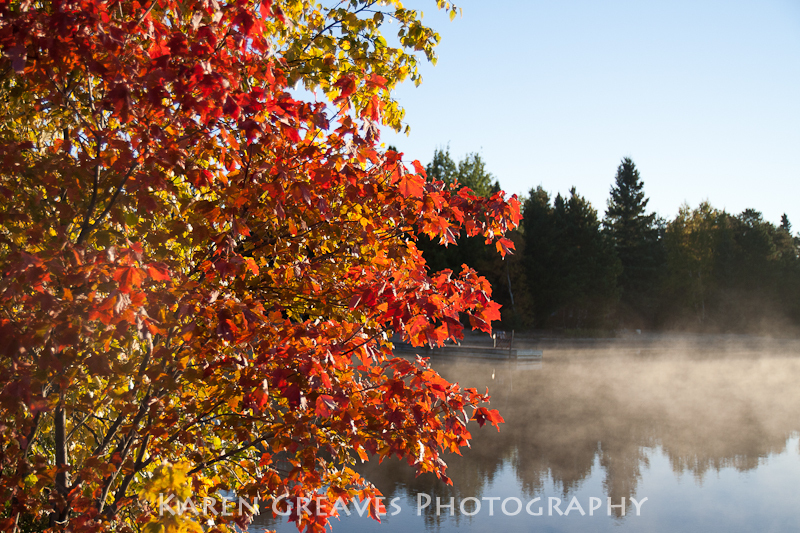 We don’t have many red maples around our parts so had to capture these.